We believe in being as helpful as possible, even before you work with us, so here's an actual proposal for your review. 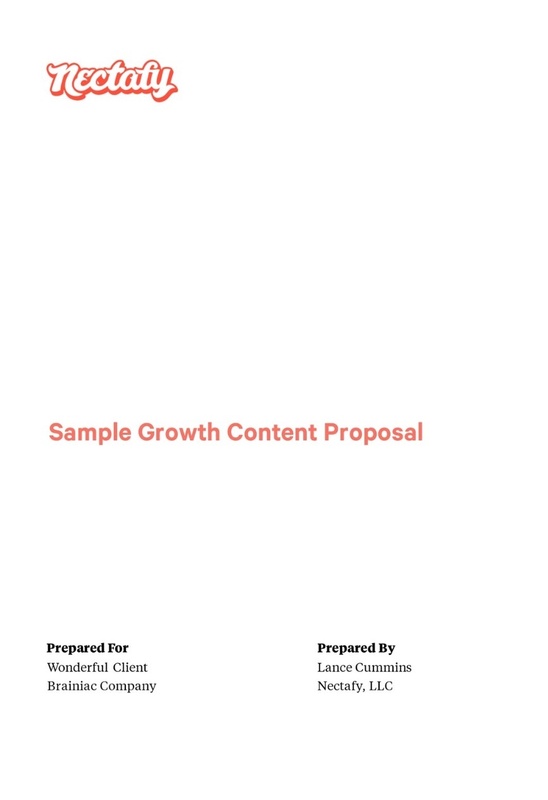 This proposal spells out the details of how we deliver growth content and the investment that is often required. Of course, every client has unique goals and marketing needs, but this proposal should give you quite a bit of insight into how we work with our clients to help them succeed. Download the sample proposal now.